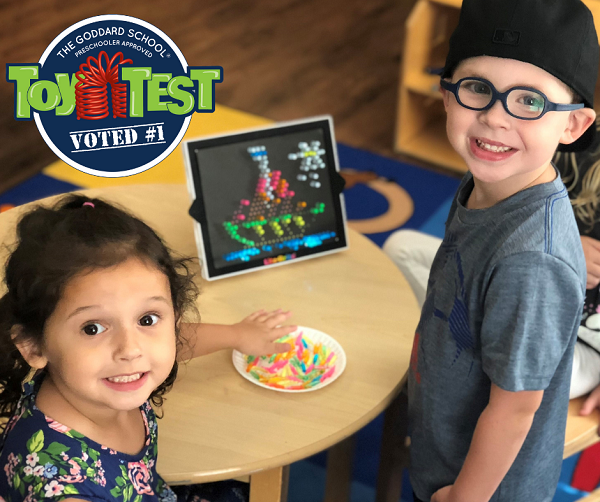 Goddard Systems, Inc. (GSI), the franchisor of The Goddard School® preschool system, announces that the public has selected Lite Brite from Basic Fun Toys as the winning toy in the 11th annual Goddard School Preschooler-Approved Toy Test. To help more children learn through play, GSI will purchase and donate 100 units of Lite Brite to Toys for Tots, a program run by the United States Marine Corps Reserve that provides children in need with holiday gifts every year. In the summer, The Goddard School Toy Test Committee, a team of early childhood education experts, reviewed numerous submissions from the world’s leading toy manufacturers. The committee judged each submission on how affordable it is, how the toy encourages interactive and child-initiated play, how well it promotes creativity and collaboration and how well it maintains the children’s interest over time. Then, a select group of 50 Goddard Schools across the country received the top-evaluated toys for infants to six-year-old children to play with and critique. With the help of their teachers, the preschoolers selected their favorite toys, and GSI compiled the results.